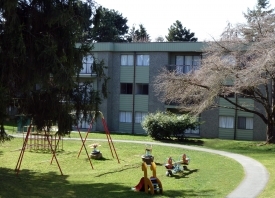 Large 1 bedroom in New building has electric heat, wood laminate floors & carpet. Some 1 bedroom have electric fireplace. Close to wave pool, arena and rec centre. This is a pet-friendly residence. Approx 585 sq ft.
From $1,100/month. A $200 refundable fee is required.